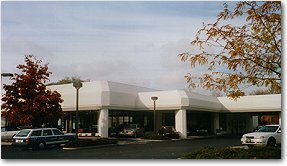 Kingdom Automotive REIT, is a private automotive real estate investment trust which invest in properties to facilitate full-service automobile dealerships and other automobile related businesses. The company is buying the property of existing multi-franchised dealerships and then leasing the property to the operator on a triple-net basis for shceduled periods of 14-21 years. Once "Kingdom Automotive REIT" has completed development and acquisition it will own approximately 300 properties in 27 states; most in metropolitan cities. The targeted properties include approximately 500 franchises representing more than 40 major brands of automobiles. Kingdom Automotive Reit has focused our investments in properties used by high quality, and well managed automobile dealer groups that will demonstrate consistent development and growth, along with strong operating results. Our strategy is clear and concise, we acquire properties from dealers with multiple franchises and multiple locations to maximize our diverse revenue stream.